America at its best. That’s what I thought after meeting Mrs. Bobbie Coles, an educator, and Mrs. Virginia Ali, an entrepreneur. A lot of news out of Washington, D.C., where they live, is discouraging. But these two have a lot to teach us. And if, as many Minnesotans do, you visit Washington, they’re easy to find. —About 25 percent of the Union Navy and about 10 percent of the Union Army were Americans of African descent. 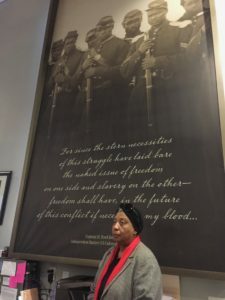 —More than 200,000 African-Americans fought for the North. 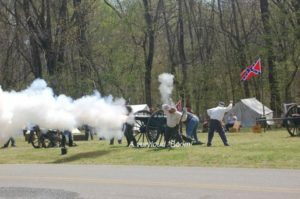 According to Coles and others, the battle currently is being presented to battlefield visitors as a great Confederate victory. (Please see picture above with Confederate flag being flown in a recent “enactment.”) Yet the Congressional report concluded “more than 300 people were murdered in cold blood.” The differing descriptions of history create tension; an account of what happened when a racially diverse group of people went to Fort Pillow to “seek Christian reconciliation” and perform music and a play on the 150th anniversary of the massacre is found here: https://bit.ly/2J5tZSc. 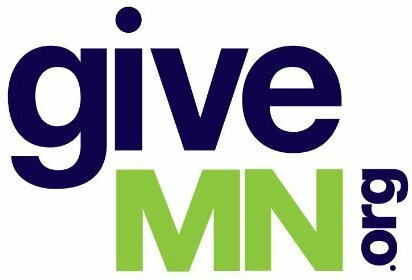 Given Minnesota’s key role at Gettysburg, I hope several Minnesota members of Congress will co-sponsor this effort. We need to honor courage and acknowledge murder. While Coles helps us understand American history, Ali is making history. 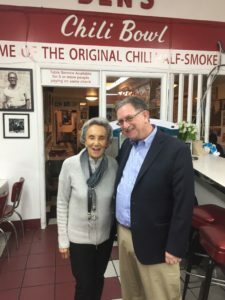 Sixty years ago, she and her husband, Ben, started a restaurant that has won a vast array of awards (see that list at https://bit.ly/2J59vZR). 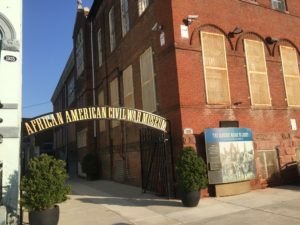 It’s just two blocks from the African American Civil War Museum. Through recession, riots and urban renewal, Ben’s Chili Bowl has served families, residents and visitors to Washington. Its walls are covered with images of famous people who’ve dined there, though the food is very reasonably priced. Former President Barack Obama recently praised the restaurant for its outreach to the hungry and homeless. Ali, now 84, comes to the restaurant almost every day. We met; what a lively, friendly person! It’s easy to see why her restaurant has survived — and now has opened several additional restaurants in the D.C. area. Virginia Ali and Bobbie Coles are passionate, persistent, positive people. You can find them an easy, safe, 10-minute Metro subway ride from the more well-known Capitol Mall. Whether you visit online or in person, they and their stories have a lot to offer.